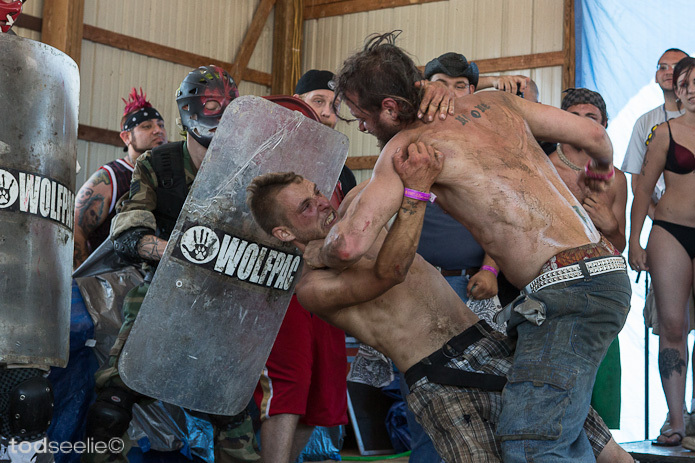 Back in 2010, Portland based photographer Daniel Cronin emailed us some photos from a recent trip he took to The Gathering of The Juggalos, and we, with pleasure, featured the wonderful images. Well, some publishers saw it, liked it, and now Daniel's new book The Gathering of the Juggalos, published through Prestel/ Random House, is set to release April. Daniel Cronin swung in FFDG today and showed us the book. 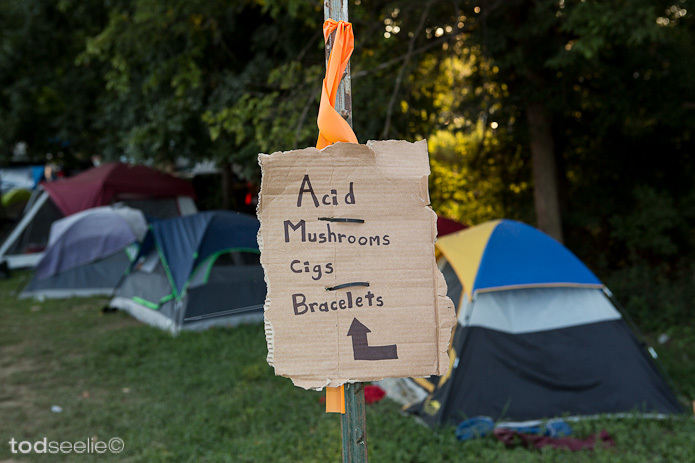 Wonderfully printed, The Gathering of the Juggalos will retail for around $40. View our 2010 feature here. 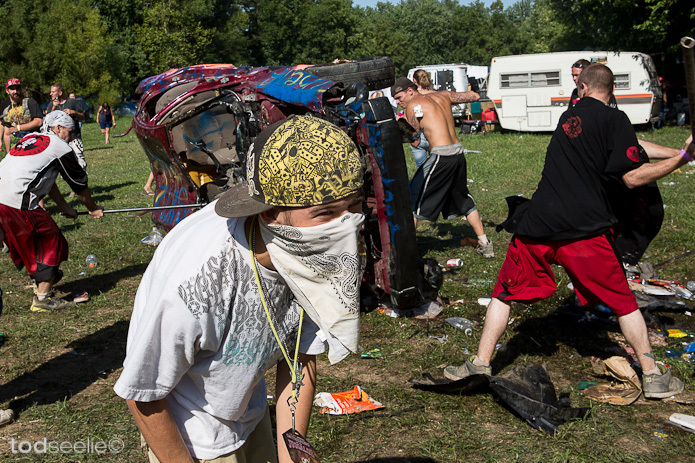 Back in August I attended The Gathering of the Juggalos in southern Illinois. During The Gathering I heard mention of an "incident," which resulted in the total destruction of a person's car. I went to check it out, and found a small group taking turns bashing the wreck with sticks and rocks or stripping parts off. While I was watching I asked around and about the story. Apparently the car belonged to a guy who had been stealing from people camping in the surrounding area. He got busted, with a car full of people's laptops, cell phones, wallets, etc. He literally got beaten all the way to the exit, where security rescued him and sent him away in an ambulance (one version of the story had him getting life-flighted). People then turned their rage on his car and personal belongings, repeatedly shouting "This is what happens when you steal from Family!" The final twist in the story? The car itself was stolen... from the guy's now ex-girlfriend.